Auntie bersih at flashmob in KLCC. Spotted at Centre Court LG Suria KLCC. Flash Mob….waitng. 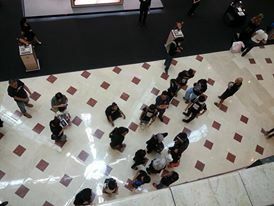 KUALA LUMPUR: A group of Black 505 supporters staged a flash mob gathering inside Suria KLCC mall in protest of alleged electoral irregularities. The participants had reportedly gathered after an invitation was made via a Facebook posting. The group came dressed in black at the mall’s central ground level at around 2.30pm Saturday before they walked in silence throughout the complex. Their antics were watched by shoppers and mall security personnel. The crowd later gathered outside the mall and shouted slogans. They later dispersed peacefully at 3pm. Among those seen at the gathering were Solidariti Anak Muda Malaysia coordinators Shariful Azmir Mustafa and Norazizi Abdul Aziz. Dang Wangi OCPD Zainuddin Ahmad the police would investigate if the group had broken any law. 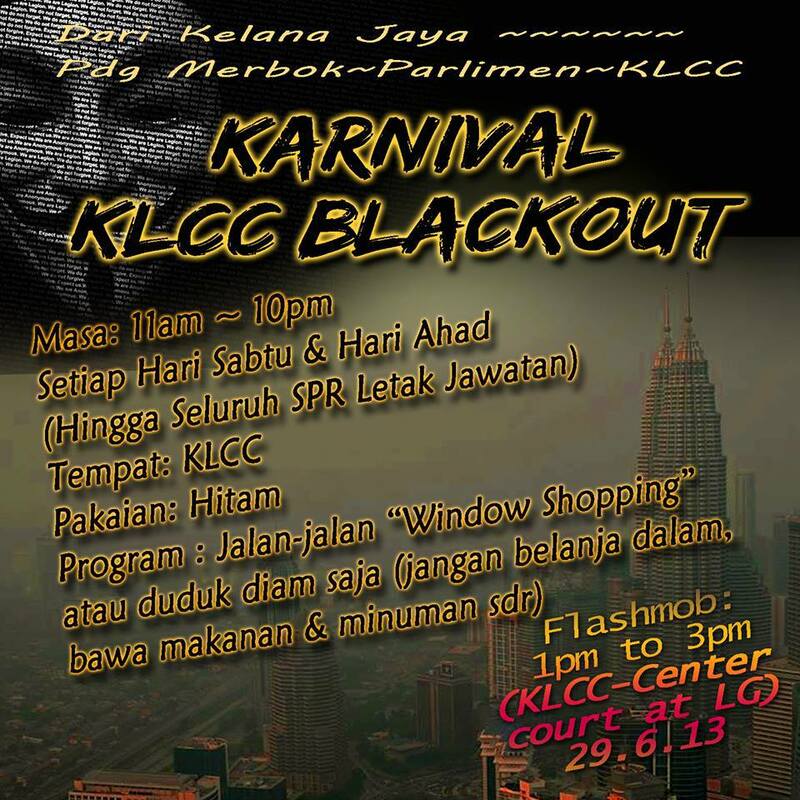 “Its up to the KLCC management if they want to take any action as it was in their area. On our side, we will also investigate if they had broken any laws,” he added. 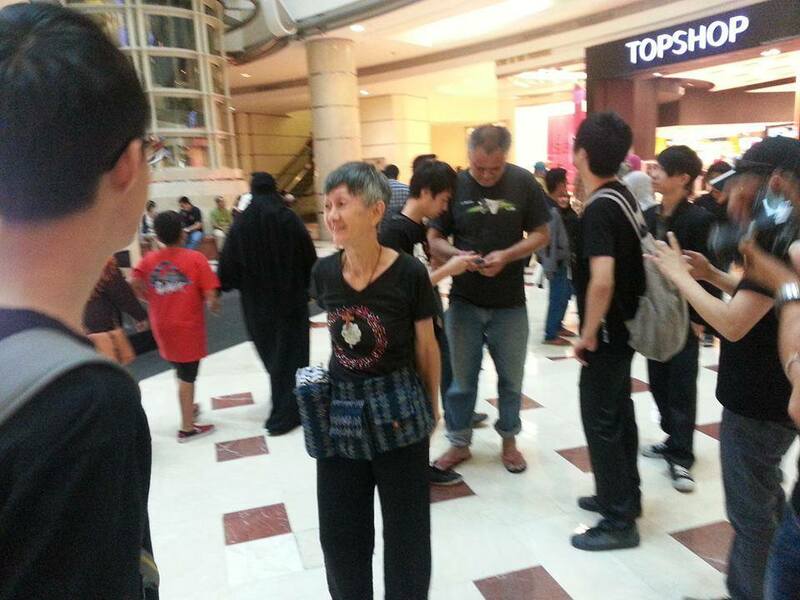 A KLCC central management official said the flash mob partiicpants were peaceful and did not disturb the shoppers. This entry was posted in Uncategorized and tagged #BLACK505, auntie bersih, flashmob, karnival klcc blackout, KLCC, malaysia, politics, PROTEST AGAINST ELECTORAL FRAUD, Solidariti Anak Muda Malaysia (SAMM). Bookmark the permalink.